At KING-WAY Scraping Consultants in Cottage Grove, Minnesota, we also offer machine sales to provide the machines you’ll need to get the job done right. We carry BIAX™ power and hand scrapers, KING-WAY alignment instruments and levels, water-soluble marking inks, and we provide service for all conventional and CNC machine tools. Additionally, we offer sales and installation of Rulon™ 142. 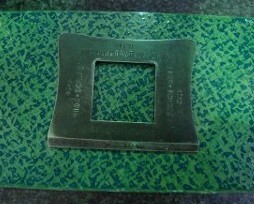 Rulon 142™ is used in machine tool building. It allows for a precision fit on sliding surfaces, allowing you to achieve accuracies of .00005” per 12” for CNC and super-precision machine tools, and .0002” per 12” on conventional machine tools like lathes, milling machines, and surface grinders. This will help you to increase the productivity of your machine building division by ensuring accurate tolerances. It will also increase the productivity of your maintenance department and machine building department. Contact us for precision machine sales and accessories.